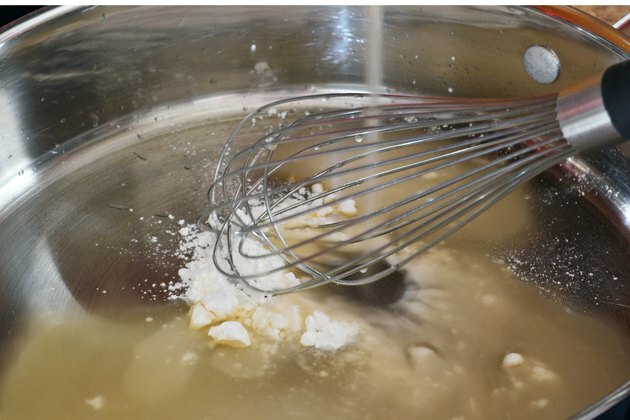 Making gravy with corn starch lets you enjoy it without all the fat. 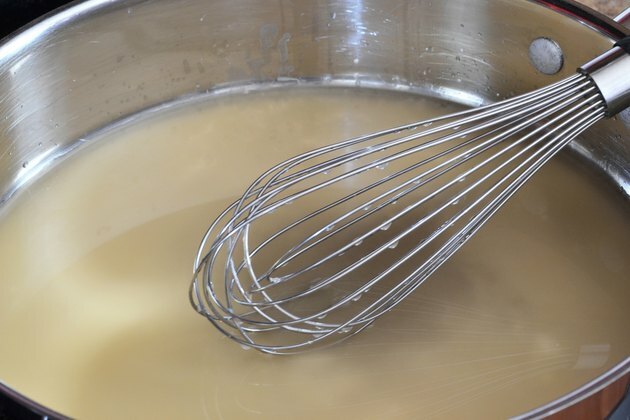 Usually gravy is made with fat drippings, but with corn starch gravy, no extra fat is required. 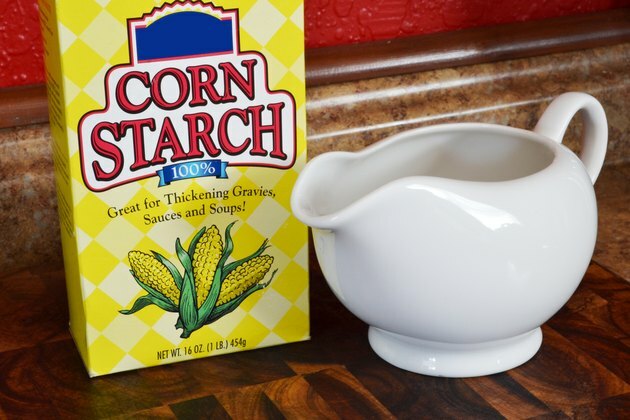 Corn starch is a flour ground from corn kernel. Unlike flour, corn starch contains no gluten. Gluten reduces thickening so corn starch has twice the thickening power of flour. Corn starch also does not lump like flour. Some recipes call for dissolving the corn starch in water before adding it to the broth, but you can add it directly to cold broth, as well. Place the cornstarch in the sauce pan. Pour the broth into the saucepan, continuously whisking it until smooth. 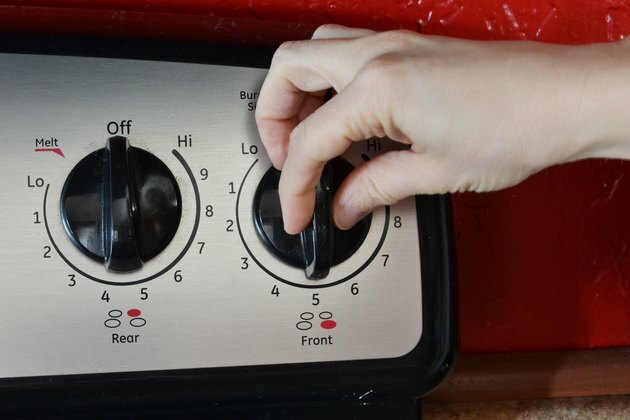 Place the pan on a stove top burner set to medium heat. 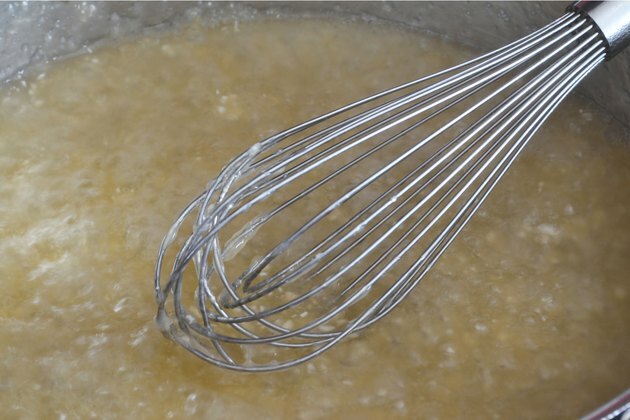 Bring the gravy to a boil, whisking it while it cooks. Cook the gravy until it's thickened to your liking, usually about one minute after it starts to boil. Cooking the gravy reduces the starch flavor. For the best taste, make homemade broth from meat, poultry, vegetables or even the drippings from a pan. Add herbs or pureed garlic to the gravy for extra flavor. Cool the broth or bring it to room temperature. 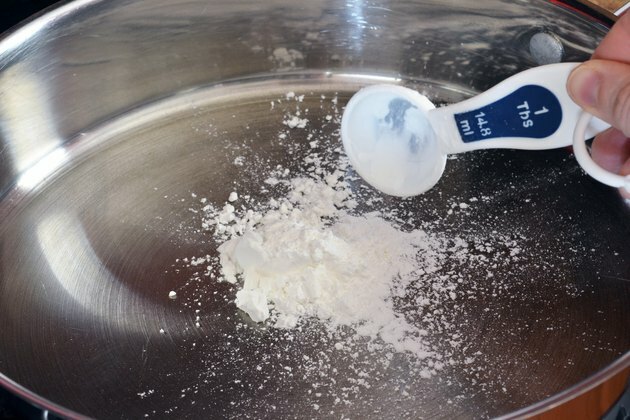 Mixing hot broth and cornstarch will cause it to clump.